To the Head of the Government. As the message sent from the Telegraph Office in the Vizierate bears no address or signature, the Representative Committee of the “Union for the Defence of the Rights of Anatolia and Rumelia” declines to receive it. We shall keep a copy of it in our office. Please inform the sender of this. (Signed) Telegraph Office of the Congress. “It is not addressed to the Representative Committee. The name of the sender also is unknown. “The Cabinet have just concluded their sitting. “When the Cabinet will give me further particulars in writing about this, naturally the matter will be cleared up. This answer was given to us by the Ministers when they were leaving. “From that moment we have not received anything more. Very urgent: Sublime Porte. 4 th October, 1919. Director of the Telegraph Office of the Sublime Porte. Very urgent. Constantinople, 4 th October, 1919. Telegraph Office of the Congress. Reply. Tewfik, Director of Telegraphs, Stambul. On the following day, the 5 tl1 October, we were told that the unsigned telegram was sent by the Grand Vizier to the Representative Committee and that it represented his reply. Although it was not an official and signed message, we considered it neither expedient nor necessary to continue to dwell on so unimportant a point. We con sidered it better to send a reply to the Grand Vizier. This is a summary of the main points in our long telegram to him : After having drawn attention to the fact that we had understood that our proposals had been approved of and accepted in full, we continued to express our opinion from the point where we were asked to bind ourselves, and said that the driving power and source of the abnormal and unlawful situation was Ferid Pasha s Cabinet. “This situation will disappear automatically if you take decisive steps to put an end to the consequences produced by the unlawful acts of that Cabinet. Before our movement can declare its loyalty to the present Cabinet and give its support to it, the Government must first declare, in concise and definite terms, that it has friendly feelings towards our national organisation. The unsigned telegram from Ali Riza Pasha contained the follow ing phrase: “According to the Constitution of this country, the nation is the sovereign power.” Our answer to this was that undoubtedly this is a fact ; but the Constitution likewise stipulates literally that the Chamber of Deputies must be elected within four months after its dissolution, and up to the present day the registers of voters even had not been compiled. And we said that this procedure of Ferid Pasha s Cabinet was a blow directed against the Constitution and a formal infingement of the constitutional charter. It is the solemn and natural duty of every Constitutional Govern ment that recognises the sovereignty of the nation and who believes that it is legally bound to obey the law, to look upon such actions as a crime, according to the corresponding clause of the Penal Code, and to apply the provisions laid down by law as widely as possible in dealing with those who axe found guilty. 1. To publish an official manifesto and declare that rest and order prevail throughout the country and that the national movement is justified and legitimate; showing thereby that the Government is in sympathy and accord with a united nation. 2. Some of the higher officials constituted themselves agents of the Government that has been overthrown and have aided them in their treachery. These must be tried by competent courts of law. It must be laid down that certain ex-Valis, who have resisted the national movement, will be debarred from any further state service. Kemal Pasha 12 served the national movement, shall be reinstated in the offices they formerly held. 3. All those who have been reinstated in their former offices and have not been recognised by the National Assembly, because such reinstatement was due to the false policy of the Government, must be dismissed again. AH important military posts shall be filled by capable men. 4. Until the former Ministers, Ali Kemal Bey, Aadil Bey, and Suleiman Shefik Pasha have been handed over to the State Court for trial after the National Assembly has met, we demand, in the name of the inviolability of the law and the sacred character of the national rights, that they shall be prevented from leaving the country; that Refik Halid Bey, Director of Posts and Telegraphs, shall be arrested immediately and made to stand his trial before a competent court of law. 5. Any kind of persecution or molestation of persons who have participated in or have favoured the national movement shall im mediately cease. 6. The Press shall be free from foreign censorship. To the Prefectures in every town. To the Press. 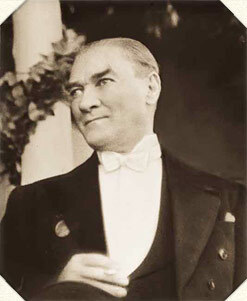 As His Highness the Grand Vizier has declared that he finds the essential resolutions passed by the Erzerum and Sivas Congresses and the aims pursued by the national organisations to be natural, and as some points in his remarks require explanation, we have sent a reply to him and have put forward certain proposals, based on the collective opinions of all the chief places, for the purpose of establishing a real understanding between the Government and the nation. We give you herewith the literal wording of the reply and the pro posals referred to in a circular note. We shall inform you immediately we receive an answer and the decisions we shall arrive at concerning it. We have now reached the fifth day of government by All Riza Pasha s Cabinet. So far, we had not come to any understanding. The official relations and correspondence between the country and Constantinople were still interrupted. His Highness the Grand Vizier did not reply to our proposals; you will see directly that he never had any intention of replying. None of the members of the Cabinet had any intention of coming to terms with us. On that day, the 6 th October, Junus Nadi Bey, after having been invited to do so, paid a visit to Djemal Pasha, the Minister of War, in his office. Djemal Pasha spoke to Junus Nadi Bey about the situation and particularly about the fact that no agreement had yet been anived at between the Government and the Representative Committee. It appears that the Minister pointed out to him that we were in the wrong ; that the Cabinet itself was prepared to accept and carry through everything, and that, in any case, the Representative Committee was responsible for the conflict and continued in its obstinacy. He seems also to have asked Junus Nadi Bey, of whose personal relations with us he was well aquainted, to act as mediator in bringing about an understanding between us.